Editor’s Note: We are honored today to feature a guest post by a very talented young man, Justin Mabie. Justin is a 20-year old college student living in Southern California, USA. Recently, Justin attended the Integress Solutions’ Goal Achievement workshop Living Life by Design, which prompted him to make some immediate and lasting changes in his life. He has graciously offered to share his experience with you here. 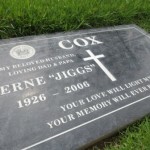 On March 12, 2006, my grandfather Verne “Jiggs” Cox passed away. His funeral would be set for Friday, March 17th. I would not be there. I was in sixth grade and it was made clear to me by my parents that he would not live much longer. Due to the physical state and appearance of my grandpa, they thought it best that I not go to say a final goodbye considering my young age. He passed on a Sunday in his Corona del Mar home, the day before I was scheduled to leave on a Catalina Island Outdoor Education trip. My parents encouraged me to go on my trip, regardless of the sorrow I felt knowing that I would return home too late to attend his funeral mass that Friday afternoon. My mother told me that her loving father would have wanted me to go. With that being said, I left for the trip, and missed my grandpa’s funeral. Fast forward six years later to 2012. I had graduated from high school and was enrolled in community college. I was in a place where I was unsure of essentially everything. I was the kind of person who preferred to breeze through things, never going the extra mile. I didn’t apply for college the year before under the sole reasoning of being too lazy and thinking I wasn’t “good enough.” I was a serial dater. There wasn’t a lot going for me. As a disgusting sign of my character, I still had not visited the gravesite of my grandfather. My view of goals had notoriously been, “no goals, no disappointment.” It wasn’t until I attended the Integress Solutions’ workshop Living Life by Design that I realized I was building a foundation for an entire lifetime of disappointment. In all honesty, the only reason why I attended the workshop was because of the guaranteed fact that a couple of my friends would be there as well. I didn’t actually think it would impact me or change who I was. At the workshop, I was asked to write down a list of accomplishments I would want to see in myself. After being asked to write a hefty list full of goals, I then wrote whether or not I could accomplish these goals within a set amount of years. While I scanned the list, I came across a goal I had written down to see my grandpa’s resting place. I felt like this should not even be a “goal” but rather something I should have done a long time ago. This should not have taken six years. I think in some cases it actually takes writing your goals down to realize how stupid it is of you to not have accomplished them yet. Why hadn’t I taken the time to make a fifteen minute drive to Corona del Mar to pay my respects just once? This is the man who raised my mother. For a man who lived to the age of eighty, for a man who had since ceased to live, for my grandpa, I hadn’t taken what would be less than an hour out of my television time to visit him. I was so disappointed that I was lazy enough to let this pass by. I filed the goal of visiting my grandpa under the “one year” category, knowing that if it took even half that I was truly a selfish human being. I called the instructor at the workshop, Dale Marcouillier, and told him what day I was planning to go. I was finally getting in the car to see my grandpa for the first time in six years. The drive to Corona del Mar Memorial Park was very sad for me. I rode down there alone with nothing but a Mumford & Sons CD (for emotional support of course). I was definitely crying in excitement to see my grandpa. I was very aware of how much I missed him. I handle the concept of death worse than most, so a memorial park isn’t really my favorite hang out spot. 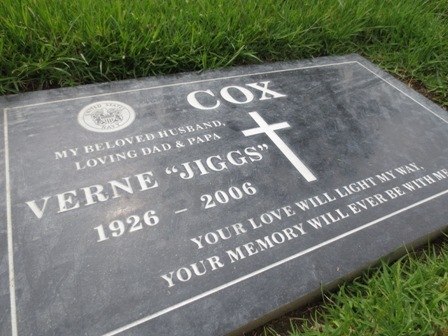 Upon arriving, I had to search a little bit before finding his headstone. I was wandering around the general location in frustration for probably fifteen or twenty minutes before I found what I was looking for. Though I could’ve easily given up my search to go home to some more television and Facebook, I was sick of the person I was and wanted to make my grandpa smile. I found his burial place, cried, and said a few things that I felt that I needed to say. The point of my story is that there are some very significant things in our lives that we don’t give proper credit and attention to. Excuses can only get you so far. I just found out a few days ago that the idiot in my math class is attending a University while I’m still stuck in community college, high school purgatory, because I was too lazy to apply for schools. I’m dumb, but not as dumb as that guy. I could’ve gotten in. We let such small things pass us by because of our laziness. Since then, I set goals left and right. It wasn’t because I was unable to before – I just didn’t feel like exerting the energy. Now, I write down every penny I spend on a pad of paper so I’m aware of my money and spending. Sure, there’s an app for that. However, when you physically write something down, it sticks with you more. Seeing it in my own handwriting really makes the difference for me. Lastly, there are a couple of behaviors that I picked up from the Living Life by Design workshop that I’d like to encourage people to do. First, think of the things you haven’t done and want to do. Do those things. Set a date you want them to be done by, and accomplish them. Second, don’t be lazy. Take the stairs. Walk the dog. Don’t pick up your dirty sock during the next commercial – do it now. Leave a little early for your date and pick her up some flowers. Finally, be nice. It has nothing to do with anything above, but just be nicer to people. Ask how they’re doing and listen. It makes someone’s day when you’re the one person to treat them like a friend instead of a means to an end. When you make people feel better, I promise you’ll feel a lot better as well. Interested in hearing more about how Living Life by Design can assist you in transforming YOUR life? You can see what all the excitement is about, get details on the course content and even download the first segment as our gift here. 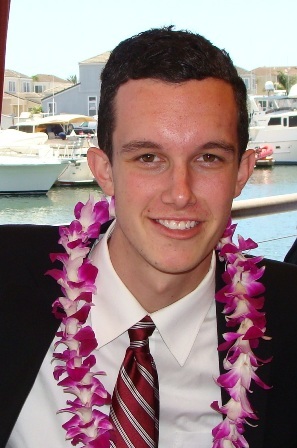 Justin Mabie is a 20-year old college student changing the world around him. You can email him directly at jmabie@cox.net. And, as always, you are welcome to leave your comments and feedback below!